Food Banks: A Bailout Too Far? Food banks are somewhat provocative. The outcry of emotion usually triggers off related discussions, often about how austerity has pushed some members of society to use them and also how much food supermarkets and food stores throw away. Their individual usage has been increasing dramatically over the last five years and they have become a sensitive subject relating to the government’s austerity measures; you could even suggest their increase in use is one of the staples of the Conservative government. But is their usage beneficial in both the short and long run? Austerity has been covered in some depth on this blog, pieces here and here discuss some of the consequences of a government determined to slash public sector expenditure by the highest historical levels. The discussion here is aimed at the ramifications of such actions, particularly at the exponential increase of food bank supply and usage. Moral hazard is a useful economic term, meaning when two parties engage into an agreement both can act independent from one another, contrary to the principles of the agreement itself. If you think of a car, a car has seat belts to prevent fatal and other injuries. But before cars had seat belts cars and the roads were safer because people drove slower. By driving slower there were less accidents. Of course you should wear a seat belt when driving, but it is an interesting argument and one that should make you think. If you drive slower you are less likely yo crash. Another example is a salesperson with zero commission, the person receives a flat wage. Without the incentive of commission his or her business activity may relate to the flatness of the wage because there is no incentive to increase the variable i.e. the selling of more goods and services. A Salesperson is meant to sell as much as they can, without commission a worker that sells one unit receives the same wage as a worker that sells one hundred units. This is moral hazard. Clearly food banks enter into this discussion because as a means to equip oneself with emergency relief food is vital to survival; man’s basic requirements of food, shelter and clothing are the basic necessities required regardless of culture, belief, demographic etc. The Trussell Trust are the largest food bank group in the UK. They actually began in 1994 and usually work as an intermediary between different social groups as a gap to help vulnerable members of society. This means that people are advised to go to a bank where they will usually be given three days’ worth of food, a person to talk to and advice to help them along what is usually a difficult journey. This is honorable and noble work. Ultimately Food Banks present society with a huge dilemma. The graph below illustrates the dramatic increase from the market leading food bank. In 2011 some 128,697 adults used the Trussell Trust’s facilities, there were also ninety six facilities nationwide and these banks would open two to three days a week. In 2015 there are now four hundred and fourteen banks opening seven days a week. This is an increase of over four times the amount in just four years, equating to around a 100% increase every year. This is a huge increase in supply. The growing problem of food bank usage is the poverty consciousness it has instilled into our public psyche. Of course the mass media’s coverage of the economy is usually one of “tough” economic times and buzzwords such as “debt” and “difficulty” also shapes our collective thought and thus helps shape the societal narrative if you will. This increasing form of dependency represents a complex moral hazard: should some food banks close in order to promote self-sufficiency? This is one of the problems with strict economic analysis, it can be rather limiting when discussing sensitive issues, such as charity. However, a benefit for this form of analysis is the fact that when we do look at the facts, as crude as that can be sometimes, we can narrow down at what is vital and what is not. 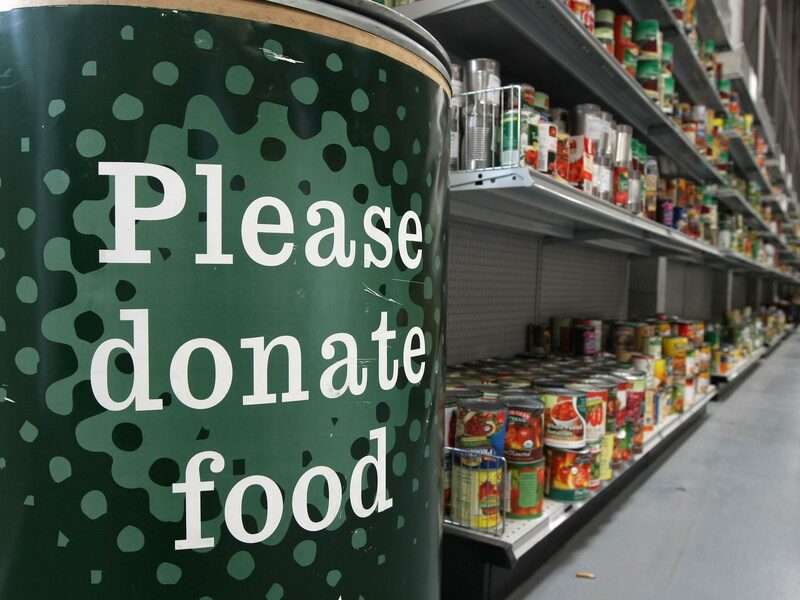 If more food banks closed people would be forced to find food elsewhere, agencies such as schools, sometimes police, social services and even GPs in small areas are all responsible for sending members of the public to food banks. The dependency the food bank increase has caused has maybe prompted an over reliance upon their use. And an over reliance on charitable handouts only prolongs the problem; without self-evaluation to confront the larger issue at hand the user will be going around in a slow circle. The evidence presented does show that the increase in food banks supply from the market leader (ninety six in 2011 to four hundred and fourteen in 2015) a proportionate increase in demand. The users and social agencies utilizing food banks could not send people to food banks if their number was capped or they did not exist, they would be forced to seek nutrition from another means and self-sufficiency is the only cure for people who rely on charity. Another unfortunate problem is the fact that many of the main users of foods banks are children. According to Barnardo’s 33% of all children in the UK live in poverty. Not only does this mean they are immediately more susceptible to health concerns, monetary issues and their educational achievement but they are more likely to be recommended by their schools and social services for food bank usage. 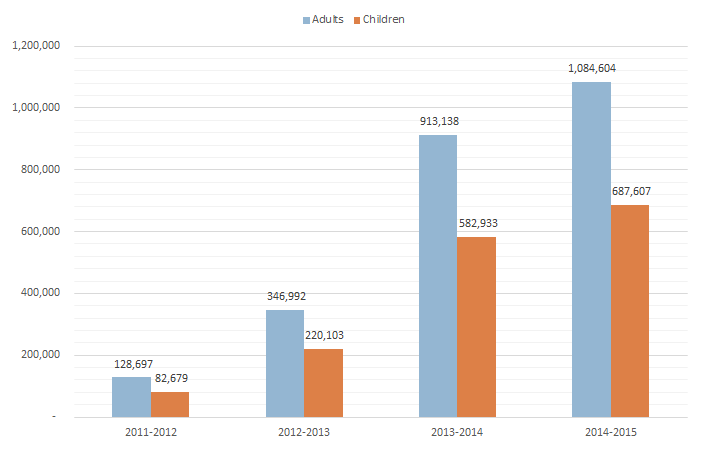 From 82,679 children in 2011 to 687,607 in 2015. What kind of future does a child have if they become so used to charitable handouts as a means of provision? Food banks are a fantastic one off stop to help people in desperate times; a buffer to enable a person or people to get back onto their feet. When they were incepted they probably had this idea. The increase in food banks and thus their usage is an unfortunate concern as an over dependency creates problems and this can only prolong the negativity that the food is trying alleviate. The increase in usage is partly down to an increase in supply of facilities themselves, the mass media coverage and austerity policies. The government could impose a cap on how many banks are allowed to operate but this is unlikely due to the laissez faire attitude from the government. An increase in charitable handouts is a sad consequence that has no direct route or origin, but austerity has certainly played a part.